Bali Spa Why don’t you leave everything behind to enjoy the ancient style treatment for bringing back youth at Kayumanis Spa Ubud. The deep massage skills which have been used for over the centuries ease your body to recharge energy of the mind.Enjoy the treatment outside feeling winds by Ayung River or in the air-conditioning room ! 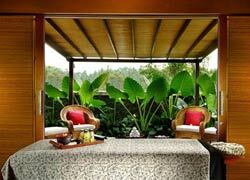 This package includes 2 hours treatment and dinner (or lunch) in the spa pavillion. Enjoy the afternoon tea at the restaurant before the treatment. This macvuline ritual encourages men to take some quality time out for self indulgence away from the pressures of the business world. All traces of executive stress quickly fade away with an energy massage to restore vitality and drive. A reviving facial restores youthful looks, while a pedicure attends to one of the most neglected areas of the male anatomy. This pampering ritual for ladies takes a feminine approach towards health and beauty by eliminating cellulite with a mineral clay body scrub. The 20minute volcanic mud body mask draws out any impurities and it continues with a choice of Relaxing or Energy Massage therapies for a calming effect on the body and mind. Kayumanis Facial enriches the skin at the end. 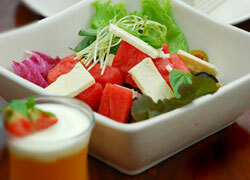 Experience the pleasure of overall indulgence with a nurturing treatment that cures every part of the body. The ritual includes a therapeutic massage to optimize energy levels, while a body scrub will revive tires skin and stimulate circulation. 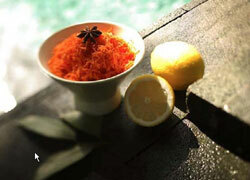 A long soak in a bath ritual of your choice will excite the senses. This quick package to ease tensions of the muscles and cure tiredness is also recommended right after the long flight, on the arrival day in Bali and for anyone who cannot rid out of tiredness. 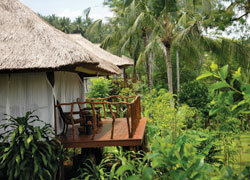 It is inspired by the rejuvenating techniques of traditional Balinese massage. It combines long strokes, skin rolling, and thumbs & palm pressure to relieve tensions, improve blood circulation, reduce anxiety and make the mind calm. This firm and deep stroke massage treatment using elbow pressure restores depleted energy levels and releases emotional tensions. The sheer strength of this exclusive therapy helps relieve stress as well as muscular aches and pains. The healing properties of heated natural volcanic stones help relaxing tight muscles and purging negative energy. This treatment recharges your energy. The combination of Balinese Massage, Lomi Lomi massage and Therapeutic Massage improves a whole body's ductility and energy flow by removing toxin from inside of the body. It also reduces stress. A technique of mirror movements delivers a balance of strokes and hand pressure, and improves blood circulation in the body by two therapists. It was created from the traditional treatment to cure pain and inflammation with various dried herbs wrapped in cotton. The herbs warm muscles and leads you into the relaxation. An exfollating body treatment using a combination of natural products such as sea salt and herbs to remove dead skin cells, stimulate blood circulation and nourish delicate skin. This reviving treatment focuses on the use of pure and natural ingredients known for their nourishing properties such as lemon, honey and fresh cucumber. A candle nut peel will eliminate impurities, while ripe avocado flesh penetrates the skin for a deep moisturizing effect. This traditional facial combines fresh vegetables and seaweed and anti-aging products manufactured by Martha Tillar, a company which admires Indonesian natural healing and beauty heritage. The 6 hours treatment improves energy of the whole body to make your skin healthy and shiner. First, enjoy taking a walk along Ayung River with the guide and then take cleansing ritual in a bath using tea tree essential oil. It includes healthy vegetable juice. Second, you will experience gentle body scrub with a mix of honey, sea salt and tee tree oils to improve metabolism and make your skin softer. 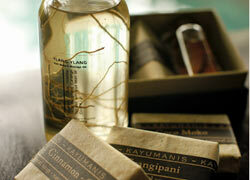 Body wrap with relaxing smells of frangipani and coconut supplies your body nutrition. Third, ritual fixes a balance of a body and mind. After refreshing in the shower, tension of the muscles will be eased by warmed volcanic stones. It also provides energy of the body. You can choose facial or foot massage for bringing back your mind to the reality. Finally, enjoy a well balanced meal to end the treatment with a small gift. Free transportation service for Ubud. People under age 16 are not allowed to enter the spa. Need bank transfer payment 7 days prior of your departure. All bank charges must be paid by the customer. I always get terrible shoulder stiffness and back fatigue, and I felt very good after had a rhythmic massage. The therapist gently massaging and I fell half asleep. When the massage finished my shoulder and back felt better and fresh.